How Eden found her voice. 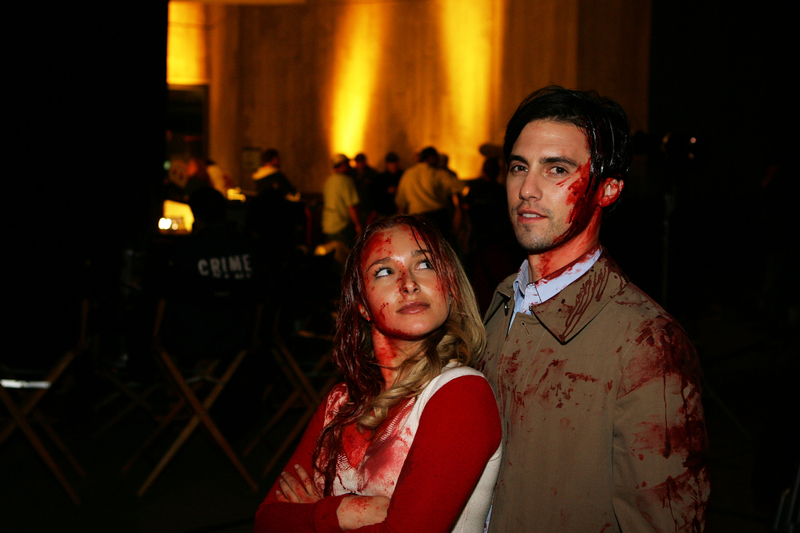 A young girl is abandoned by her father and left in the care of her alcoholic and abusive stepmother. She remains browbeaten and quiet for many years, until finally during a heated confrontation with her stepmother, she yells that she wishes the woman would just die—and her wish comes true. Her stepmother drops dead, her heart stopping at the girl's command. 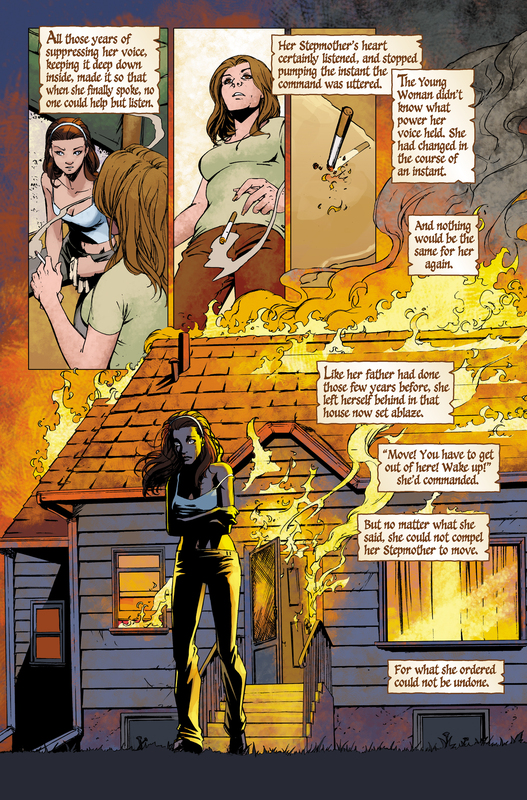 As the girl leaves, the house burns down behind her from the stepmother's dropped cigarette. Walking away from the burning home, the girl is picked up by a motorist, whom she orders to take her west. Deciding it's the beginning of a new life, she chooses to rename herself "Eden". 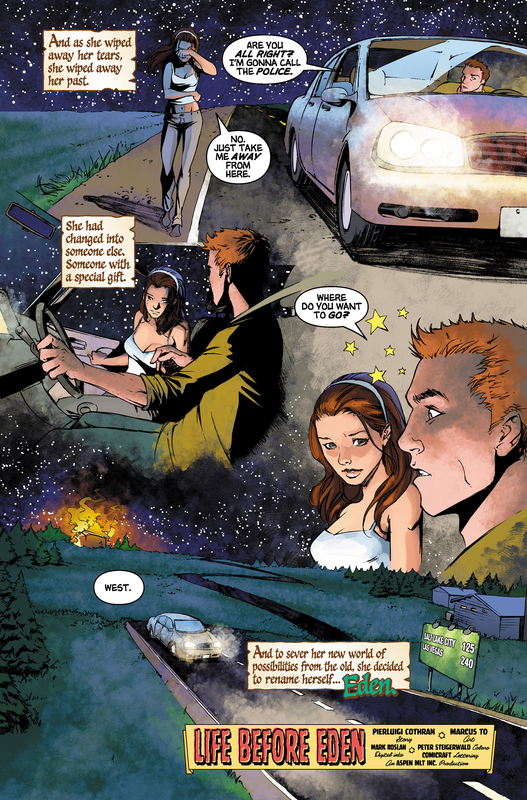 Life Before Eden is the first graphic novel to be told in the 3rd person. Life Before Eden marks Eden's second appearance in a graphic novel (after Isaac's First Time). 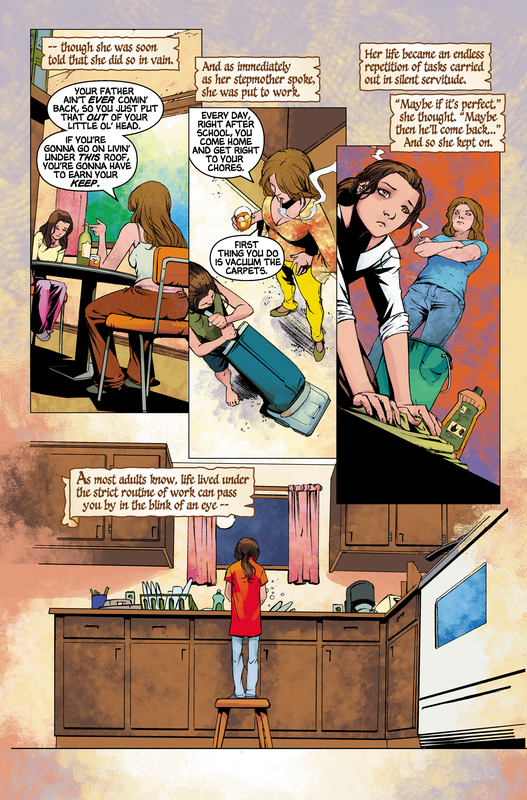 She is the first character to make a return appearance in a graphic novel. 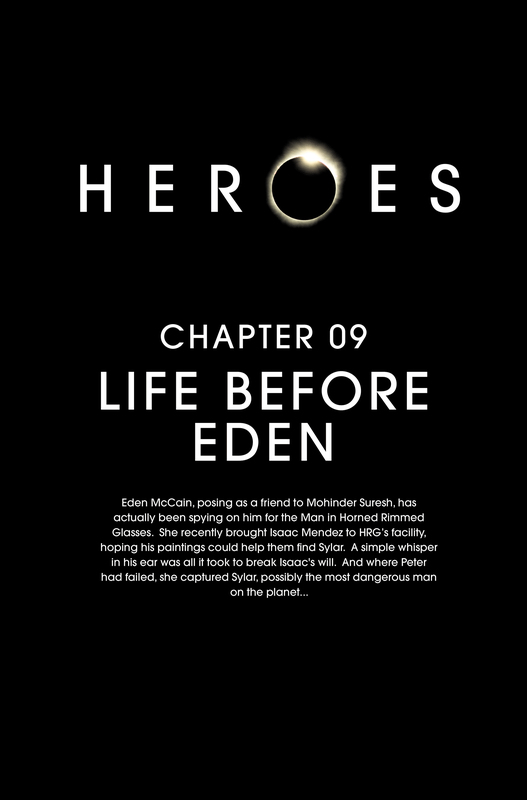 In the tradition of other Heroes graphic novels, Life Before Eden delves deeper into a story told in an episode. Homecoming is the first episode that confirms that Eden has an ability. Life Before Eden tells the backstory of the first time Eden discovered this ability. For images from Life Before Eden, see images from Life Before Eden. For Marcus To's original art from Life Before Eden, see here. This page was last modified on 22 October 2015, at 18:09.